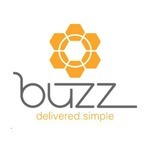 Buzz Delivery is deeply committed to giving first-rate services, including online orders and prompt shipment of medicine. The company distributes to San Francisco, San Bruno, Daly City and Pacifica. Buzz Delivery supplies cannabis solely from well-established and reliable manufacturers and works with trustworthy laboratories. All medications are organically grown and do not contain pesticides, mold or toxic chemicals. All services and products are provided in full compliance with local and state regulations. The patients are offered a free consultation with an experienced member of the staff on the matter of choosing the correct type of strains, the desirable effect as well as preferred ways of ingestion. The company is constantly working on the expansion of its medicine selection, and at the moment it has several types of Indica, Sativa and Hybrid with various flavors, from earthy to more sweet ones. Besides that, several strains can be mixed to suit your taste. Here at Buzz Delivery, all patients have a perfect opportunity to join the SF mmj consumers� community. The ultimate goal of this dispensary is to provide the best possible products and services in accordance with customers� preferences and needs.